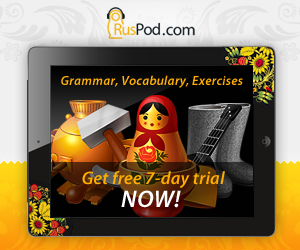 Changes, which Russian verbs undergo depending on person and number, are called conjugation. The 2nd conjugation verbs have the letter "и" in their endings. You will need to determine the conjugation of the verb in order to write correct personal endings. Usually, there is no problem with this for verbs which have stressed endings. For such verbs the same letter is used in writing as in speaking. For example, in words спишь, гребёшь the same letter is written as is heard. Conjugation is typical only for present and future tense verbs used in indicative mood. Past tense verbs change only by gender and number. However if the stress is on the base rather than ending, choosing correct ending will be a bit challenging. You will need to determine the conjugation of the verb by looking at its infinitive and applying the following rule. 1. those, which end in -ить, like заправить, клеить, беспокоить. Exceptions are: брить, стелить, побрить, постелить, выстелить, etc. 2. seven verbs ending in -еть: смотреть, видеть, ненавидеть, зависеть, терпеть, вертеть, обидеть + all verbs derived from them, like посмотреть, увидеть, вытерпеть, завертеть, перетерпеть, etc. 3. four verbs ending in -aть: гнать, дышать, держать, слышать + all verbs derived from them, like прогнать, задышать, удержать, расслышать, etc. 4. The remaining verbs (not mentioned in points 1. to 3.) are 1st conjugation verbs. There are some verbs, which can have the endings of both the 1st conjugation and the 2nd conjugation. These are the verbs хотеть, бежать and those derived from them (захотеть, добежать, etc.). a) Assuming that 1st conjugation verbs end in -у(-ю), -ешь, -ет, -ем, -ете, -ут(-ют), what is the conjugation of the following verbs? C. can be both A. and B.
b) The verbs of what tense conjugate, i.e. change in person and number? 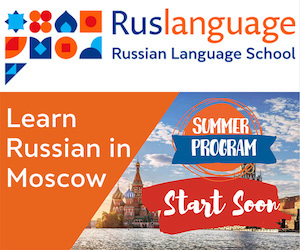 Красная площадь - does it mean "Red square" or "Beautiful square" and why?